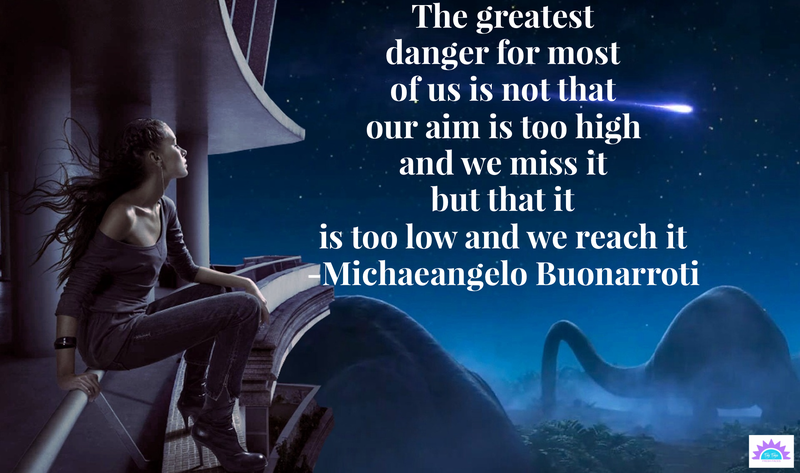 The greatest danger to yourself………. What is it that you aim for? Do you have dreams that you’ve stuffed away for so long, you kind of forgot what they are? Or do you still hold onto them, waiting for the perfect day to cash them in? I used to be the person who was kind of sleep walking through my life. Don’t get me wrong, I loved my life, but it was just too predictable. It’s not that I’m ungrateful for what I have, it’s that I felt I had more to give the world, and I decided to do it. I think that many people are content with their lives, but they still want something more. I think that our brains, can keep us stuck though, in a place that feels safe and free of rejection. Actually our brains are made to protect us, but we can retrain them, to do so much more. We can learn to be the watcher of our own minds as Eckhart Tolle says. If your wondering what that means, it means watch how you respond to people and situations. Where do your thoughts come from, and then how does your body respond to them? This doesn’t mean that we judge ourselves, or our thoughts. We just watch them and we are aware of them. Our emotions, are our bodies reactions to our thoughts. So your brain feels rejected, and your emotions comes out swinging. You feel the need to defend yourself, and you do just that. But now, that you know this is happening, you can observe it in yourself, and you can become present in the moment. It will help you move on faster, instead of staying angry and bitter for a week. The mere fact that your reading this, says to me that you want more. That you are also on a journey, to become more conscious and practice presence. The end of the year is coming really soon, take the time to decide what you want next year. Write down your dreams, your Goals, and make them come true. Find a friend, a coach, or a mentor, who can help you grow. They will focus on the now, and they will teach you great things. I hope that you are braver and bolder and ready for new year!